Home / Profiles / Timothy Frick, O.B.C. Professional coach and community leader, Timothy Frick has been leading medal-winning teams for over 30 years. Frick has served locally, regionally, provincially, and nationally with unparalleled influence in women’s wheelchair basketball in Canada. 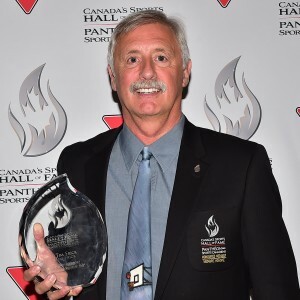 As a University of British Columbia volleyball player Frick earned his Bachelor of Physical Education in 1975. His volleyball team won the CIAU gold in 1976. In 1980, Frick completed his Masters of Education. He went on to become a physical education instructor at Douglas College. He served as head coach of the BC Breakers Women’s Provincial Team for ten years. Frick led the Canada’s national women’s wheelchair basketball team for nearly 20 years, taking them to four consecutive world championships and three Paralympic Gold medals. Under his management, the Canadian team developed into one of the most dominant teams in the history of Canadian amateur sports. Frick’s passion for coaching led him to pioneer the National Team Training Centre for Basketball in BC. In his early years, he coached Rick Hansen during his Man in Motion World Tour. According to Hansen, Frick was a difference-maker who helped him find excellence within himself. Frick’s ability to inspire and motivate his athletes to excellence has been recognized by several awards and inductions, including seven Coaching Association of Canada Excellence Awards, the BC Wheelchair Sports Coach of the Millennium, induction into the Wheelchair Basketball Canada Hall of Fame, the Basketball BC Hall of Fame, and Canada’s Sports Hall of Fame. He is also an appointee to the Order of British Columbia.